Get ready to make some noise together. Superb Corp. has revealed that Pianista: The Legendary Virtuoso is on its way to Nintendo Switch. The rhythm game features music from over 23 historical composers, and even boasts a local co-op mode. However, the company did not reveal a release window. Matinee – Choose four keys or six keys to perform, and select three songs to play. Challenge the high score to compete with others in rank. Hidden stages also become available when you clear special missions. Concours – Packaged challenges sorted by different themes. This mode features various difficulty and missions. Show your best performance in Concours. 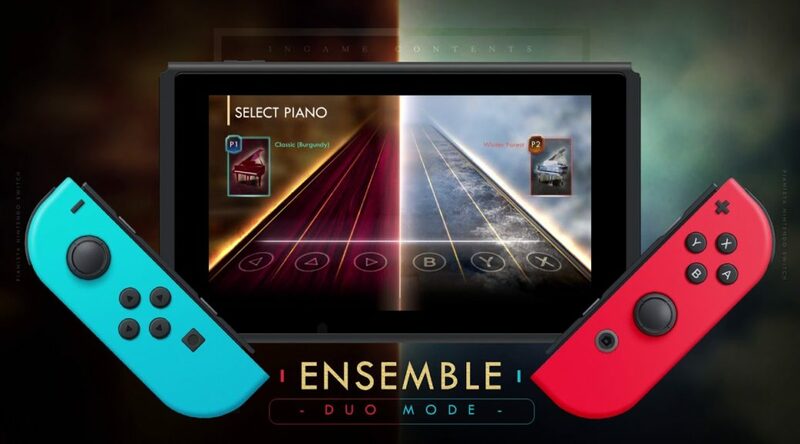 Ensemble – Use the Joy-Cons to perform a duet. Create your own play-style using different piano skins, speed options, and more with friends for the best results. Library – Check your play status, as well as the world’s famous composers and their songs. Piano – There are many piano skins to collect, which are inspired by world famous paintings. Clear special missions to complete your collection!